A convenient all-in-one cleanser to use on baby's skin, hair and scalp in one easy step. 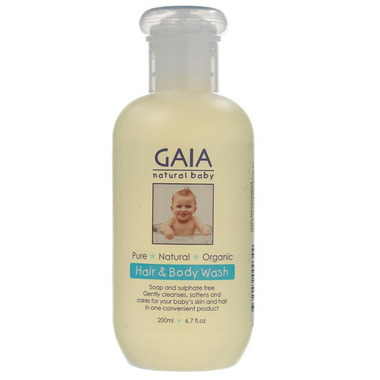 This gentle cleanser is ideal to use on newborns and babies who don't have much hair and is also perfect for shower use. Formulated for every day use and all skin types, it's the perfect soap replacement that is pH balanced so it wont strip baby's natural protective oils or cause dryness. A convenient all-in-one cleanser to use on baby’s skin, hair and scalp in one easy step.